Sergio Marchionne confirmed that a smaller SUV would join the Levante in Maserati’s lineup. The carmaker is shifting production to favour these vehicles. As expected, Fiat Chrysler Automobiles put up good numbers for third-quarter earnings on Tuesday, driven by SUV and pickup-truck sales in the US. But on an earnings call with analysts (thanks to Seeking Alpha for the transcript) after the results were announced, FCA CEO Sergio Marchionne had better news for Maserati than for Jeep and RAM, FCA’s big SUV and pickup brands. 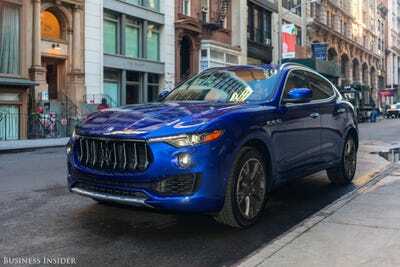 After being primarily an appealing yet underperforming sedan and sport-car brand, Maserati got a boost last year when the Levante SUV hit the streets. The uptick hasn’t been massive, but the new SUV provides a path to greater profitability for the brand and has led to speculation that Maserati and possibly stablemate Alfa Romeo could follow former FCA marque Ferrari and stage an IPO spinoff from FCA. To make that feasible, Maserati needs to expand its SUV lineup to compete with the likes of Porsche. And Marchionne told analysts that the carmaker is ready to make the move. Alfa and Maserati are taking the SUV plunge, while Ferrari — for now — remains an SUV-less carmaker. In the overall context of FCA, the SUV push at Maserati makes sense: the company has embraced what Marchionne has called a structural shift in the US market, moving passenger-car production to other regions so that American manufacturing capacity can be focused on SUVs and trucks. That trend has hit the luxury market and forced big changes. Almost every major luxury carmaker either has SUVs for sale or is preparing to build them. 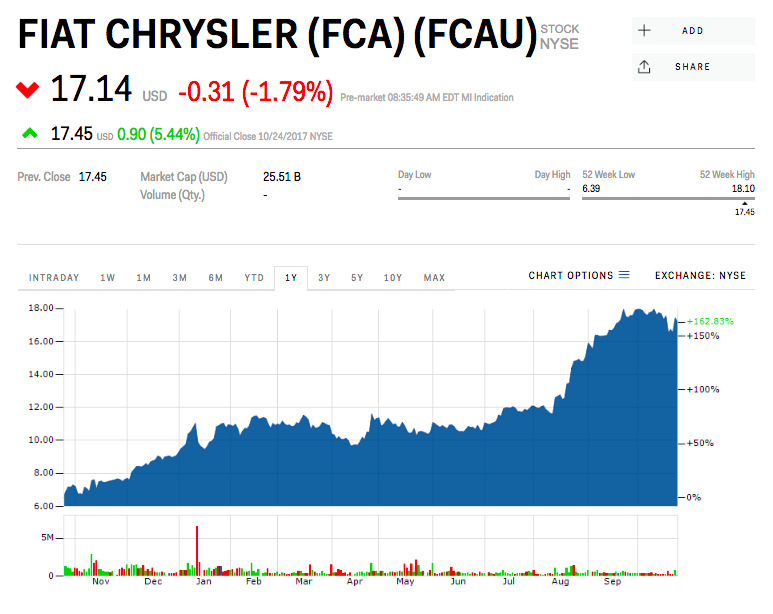 FCA stock surged Tuesday on the positive third-quarter earnings but declined slightly in pre-market trading Wednesday. The stock has risen over 160% during the past 12 months.